Meet Dillion! 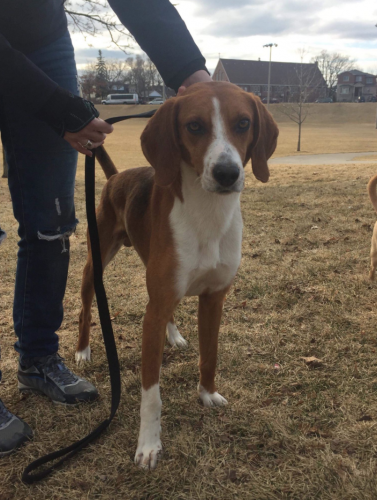 Our shy and affectionate hound-mix; Dillion is great with other dogs but is definitely not the alpha of the pack. He is ok to stay in his crate while you are away, and needs someone who will help transform him into a confident dashing young-pup! 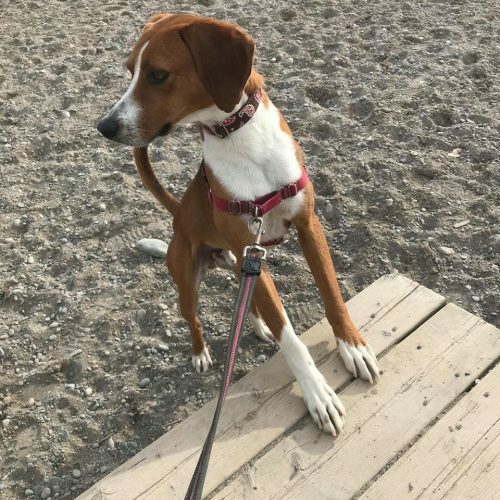 He walks great on his leash, but will need a bit more guidance when it comes to recall and some basic commands and manners. Being the shy-guy, he can be rather timid around loud noises. We are also working on his confidence around stairs. Despite his timid personality, he is affectionate and loving and is looking for someone to be firm with him and give him direction and guidance as he learns to navigate his new life! If Dillion sounds like he could be your true Texan/Canadian-gentleman, apply to adopt him today!